Welcome to Memory Express Industrial Memory. As the embedded and industrial division of Memory Express, one of the UK's premier suppliers of memory and storage, you can rest assured that you're in safe hands. We're here to answer your questions and help you develop your projects from idea to production, utilizing our nearly twenty years of experience and unparalleled range of products, including industrial and commercial grade Compact Flash and Secure Digital cards, Disk On Modules and USB products. 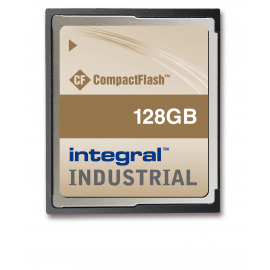 The Integral Gold (Au) Series CompactFlash memory card has a fast MLC chipset, operating at industrial temperatures. For the best in reliability and performance, Gold Series CompactFlash is the ideal choice. 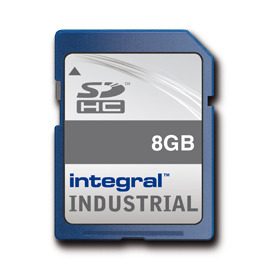 The Integral Platinum (Pt) SD and SDHC memory cards have a super-speed SLC chipset, operating at industrial temperatures. For the ultimate in reliability and performance Platinum Series SD and SDHC are the perfect choice. 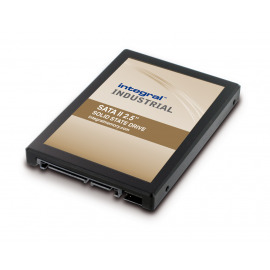 The Integral Gold (Au) Series SATA II 2.5" Drive has a fast MLC chipset, operating at industrial temperatures. For the best in reliability and performance, Gold Series Solid State Drive is the ideal choice. Our team of experts are here to discuss your options, the relative pros and cons of different products and their lifecycle.